Edwin Collins Willmington, the youngest but one of nine children, was born in Yeovil in 1815, the son of William Willmington (1773-1825) and Martha née Collins (b1777). His sister Emma was married to William Bide, but he was to remain a bachelor. In the 1851 census Edwin was recorded living with his father and sisters Amelia and Emma in a large residence with extensive grounds in Court Ash shown on the map below at centre left. Next to it, to the north of the sheep pens, was their glove factory. Both the house and glove factory were earlier occupied by glove manufacturer Henry Collins and, from the mid-1860s, by glove manufacturer George Atherton. After the death of his father in 1860, Edwin lived for a short while in the house with his spinster sister Amelia, ten years his senior. His company, Edwin Willmington & Co of Court Ash, was advertised in Hunt & Co's Directory of 1850 and in 1852 was listed as Willmington & Co of Court Ash in Slater's Directory. The 1861 census listed Edwin, Amelia and a servant living at the house in Court Ash, and Edwin listed his occupation as 'Glove Manufacturer employing 20 men and 10 boys'. During the mid-1860s Edwin and Amelia left the house and Edwin retired from the business. Both the house and business were taken over by George Atherton. In the 1871 census Edwin and Amelia were listed living in Kingston with a cook, nurse, housemaid, page, gardener and the gardener's wife and child. Edwin Collins Willmington died 15 February 1877 at Yeovil, aged 62. His will was proved in April by his spinster sister Amelia, his effects totalled less than £5,000. Amelia Collins Willmington died in Yeovil in the winter of 1890, aged 84. 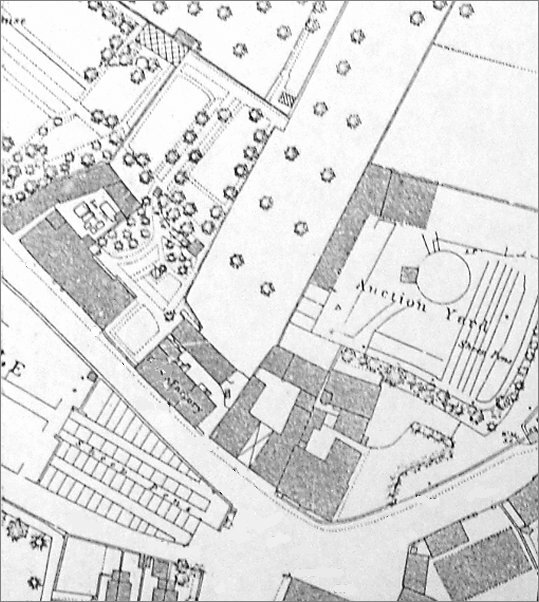 This map, based on the 1886 Ordnance Survey, shows Edwin Willmington's large residence in Court Ash at centre left, inherited from his father. Next to it, to the north of the sheep pens, is his glove factory. Both the house and glove factory were occupied by glove manufacturer George Atherton from the mid-1860s. The site of both house and factory are today built up with offices.